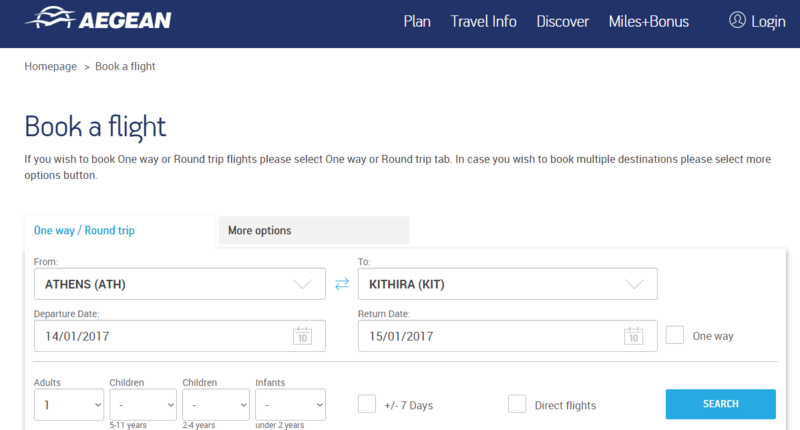 The flights Athens – Kythira and vice versa are operated by Olympic Air and Sky Express. From June until October there is a daily service and out of season several times per week. Below you will find the timetables. The above time schedules are based on information published by Aegean Air and Sky Express on the internet. We always try to give the most recent information, however we can not take responsibility for the accuracy of data. 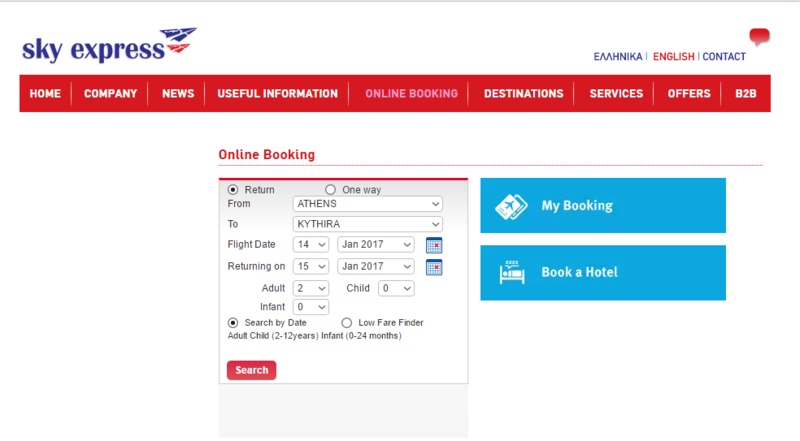 Always check the website of Aegean Air and Sky Express for the latest information on availability and prices.